Fare thee well, MetroLink Riders! It’s Fare Survey time again! Metro’s Research and Development Department will be conducting its annual MetroLink Fare Survey starting this Monday, Oct. 25, and running through Saturday, Nov. 14. Fare surveyors will be positioned at all MetroLink station platform entrances throughout the survey’s duration to ask customers about their MetroLink fare. At its most basic level, the annual Fare Survey provides a reliable and accurate snapshot, or model, of what fare media MetroLink customers use on average weekdays and weekends. The Fare Survey’s added value is realized through various revenue and service improvement applications, such as the popular Universal Pass program for college students. Surveyors can be identified by their white Metro badges showing the Metro logo, survey clipboards, and uniform consisting of dark slacks and a white, button-down shirt. 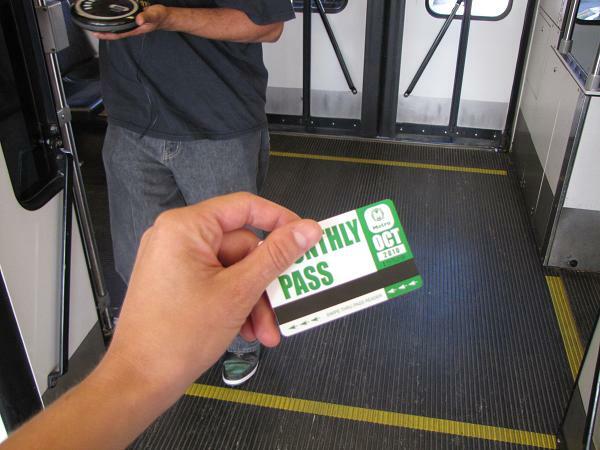 They will ask customers what type of fare (single-ride ticket, monthly pass, etc.) they are using to ride the train for that particular ride. – On Saturday, October 23, MetroLink will operate special service from the beginning of service to 5:00 p.m. for maintenance of MetroLink tracks. Blue Line trains, which typically operate between Shrewsbury and Fairview Heights, will instead operate from Shrewsbury to the Civic Center MetroLink Station. Red Line trains will continue to operate their standard route from the Lambert Airport to Shiloh-Scott MetroLink Stations. In addition, Red Line trains will operate on a single track past the East Riverfront MetroLink Station. During the adjusted service, customers should expect minor delays and are advised to allow extra time for their commutes. – For the Gumbo Flats Annual Pumpkin Run, Edison will be closed between Long Rd and Spirit of St. Louis Blvd. The #258 Clayton Chesterfield will be rerouted Saturday, October 23 from 7:45 a. m. until 10 a. m. approximately. Reroute Info. – Since the weather is pleasant, it is still construction season in St. Louis, and many bus routes will be effected. For a complete listing, see our Rider Alerts for this week, or follow us on Twitter at www.twitter.com/STLMetro.